Besides dominating the organic search results, link development had already proven its ability to provide several marketing opportunities for link builders in terms of branding and promotion. Learning how to build links consistently and naturally could not only make your link graph looks steady (and in continuous growth) but also allows you to absorb followers or potential customers from other prospect blogs (where you placed your link in one of their pages). The more you view yourself as a marketer not just a link builder could impact your link building efforts given that you always want to look at the marketing side of your links (e.g. building links that can drive assisted conversions to your website). This could turn into creating a more tactical and high quality link building campaign that is focus on the real value businesses want to offer to their customers. As the name implies, these are links that are given naturally by site owners because they see the value of your content (i.e. your page is a great resource for their followers/readers). Classic examples of these types of links are links from round-up posts, referential links and other types of contextual links. The key to getting tons of editorial links is to create a great content that is useful and can attract people to build links to it (Wikipedia format type of content). Sending emails to bloggers/webmasters is one of the main activities of “manual” link building tactic. You have to convince people to link to you by describing your content’s value proposition (what makes your content useful and different from other posts). Also, you should personalize your email template and put creativity in it to receive positive responses from bloggers you’ve pitched for link building. Infographic promotion. Identifying social sharers of an existing and relevant content using Topsy and emailing them to share your content on social or link to it from their future posts. Linker outreach by first doing a reverse engineering process to your competitor’s link profile and searching for potential pages for link building. This is an easy link building tactic given that you only need to put your site’s important details in the submission forms of your prospect websites. However, aggressive actions using this tactic could bring more harm than good to your website (it can penalize your site). Forum profiles, community’s profile pages and blog comment sections are a few examples of sections/pages where you can apply self-created, non-editorial link building. Tip: Use this tactic for your first month’s link building campaign to build easy links to your website (a few links from relevant directory sites could add a small value to your link profile). Digging deeper into each type of link acquisition listed above can help you think of more link building techniques (simple and effective) which can impact the results of your link building campaign. Most of the techniques below are primarily applicable for ecommerce and affiliate websites but you can also apply them if you’re working on other types of web properties (e.g. blog). 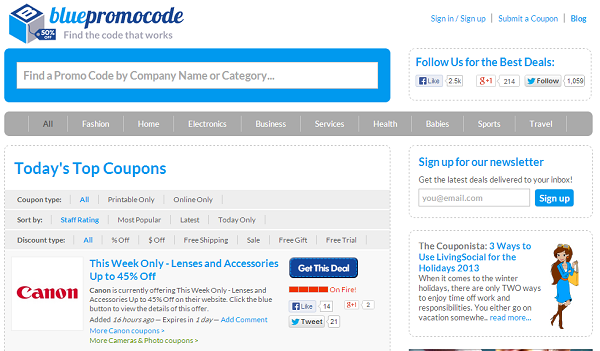 If you have a great product, you can release your own coupon codes. Submit them to coupon codes sites like Blue Promo Code. Given that people visit first to coupon code sites before making their purchases, it would be a good choice to have your product visible on their pages. Aside from getting a link from those sites, you maximize your product’s exposure (especially if the sites that you want to submit have a featured section for each category). This can add more value to your campaign since you can get possible referred traffic from the site. If you have a good product, you can create a guest post that describes your product or simply a product review and submit it to an educational website. It’s an easy and scalable link building tactic given that you don’t need to write a long post as a guest post but instead, you can just write a short review/description about your product. Use your product’s value proposition to create a better content. You also want to make sure that the site you’re targeting is highly relevant to your brand. There are college institutions that target students in a specific niche (e.g. graphic designing). The more relevant the site is, the better. Use contribution as an angle when you’re pitching your prospect webmasters. This can increase your response rate and conversion rate (more posts to be featured on the site) since you’re giving the person an option to have free several posts in a regular basis. You can also give the end-receiver of your email a free or trial version of your product. This can open more linking opportunities for your brand (e.g. 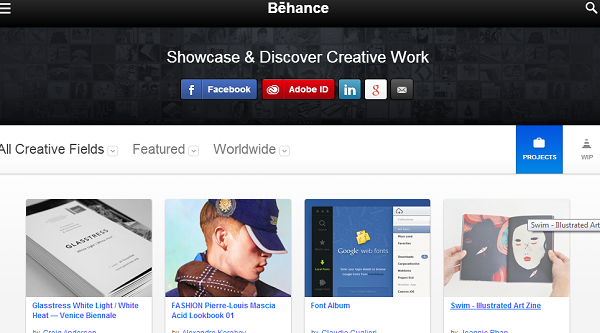 featuring your product in the site’s resource page). There are several shopping guides that can be found all over the web. You only have to find the right ones to pitch to get a link from them. Here are a few examples of shopping guides in the fashion niche. As you can see, it is like a round-up post but listing down several products with a brief description about each of them. If you have multiple products to promote, this is something that you should watch out for as you would be able to get high quality links using this tactic. Additionally, you can take advantage of seasonal events such as Christmas season and Valentine’s Day to heavily promote your products. Given that bloggers are looking for products to include in their round-up posts (shopping guides), it would be much easier for you to get them link to you. Use the advanced search query: “shopping guides” + “your keyword” OR “your niche” to find shopping guides pages related to the products you are marketing. For ecommerce websites, the most common type of post that every site owner is looking for is testimonial/review about a particular product. By having several product testimonials/reviews published on their sites, it would be much easier for them to advertise their content assets (e.g. ebook) and/or offerings (product/services) because people always want to buy a product that can give them the most value (reviewers gave the positive/negative side of a product). 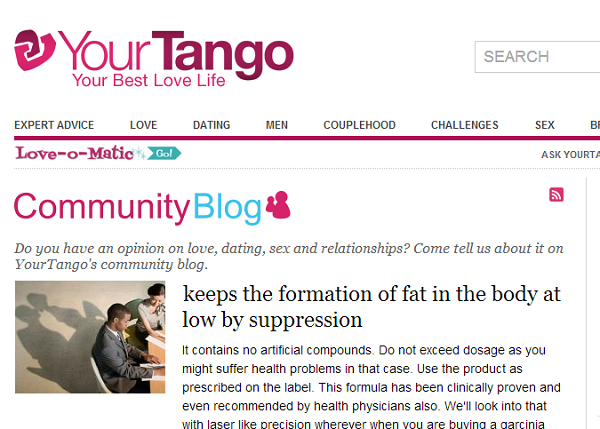 Below is a page of a website in the “family” and “lifestyle” niche. 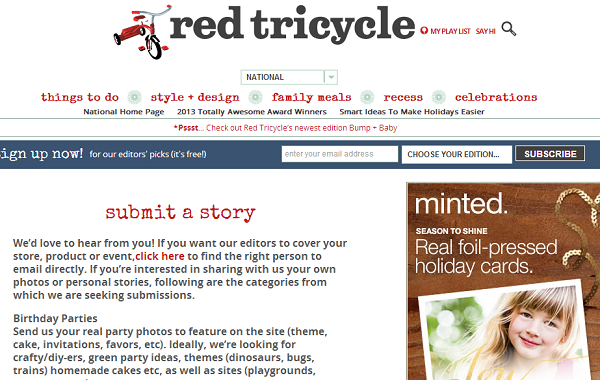 The page allows bloggers/webmasters to submit their own stories/testimonials about a certain product/event/store. Pitching to the owner of this site has a higher conversion rate since the webmaster is willing to accept posts from other content publishers. Create a post that describes how your product improves a person’s life. Provide more details on the positive side of your product and show them in your content. This can enhance your content’s proposition since you’re showing to your target audience the benefit/value of using your product. I’ve seen a lot of “before and after” content in the “weight loss” niches but this goes a long way for other niches. You can apply this technique when you’re writing your guest posts. You don’t need to do much research for this one since you only need the details of your product and add some tweaks to create a good content. You can also ask one of your customers and have him shared with you a testimonial on how your product changed his life (depending on your product’s benefits). Incentivize him to give more proofs such as an image/video showing the “before” and “after” situation of using your product. There are tons of websites that allow new members to create their own profiles and have their homepage links placed in it. Apply reverse engineering in your campaign to find profile pages where your competitors got links from. Use link building tools like Ahrefs to make it easier for you to find those niche-specific pages. 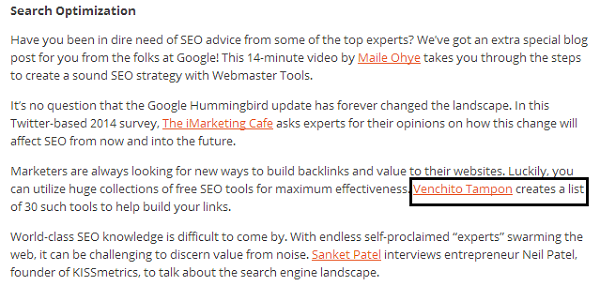 Reverse engineering applies to all niches and could provide you more prospects for link building (you can use it when you’re looking for guest blogging prospects). 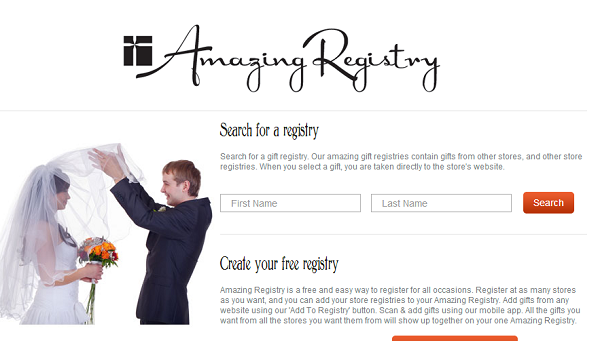 Having your store/brand placed in the registry sites can further amplify its reach given that the visitors of those sites can include one of your products when they created their own registry pages. Offer your brand in those registries to get a link from them and help their visitors with their “wishlist” or “gift list” pages. The common scenario when you create your round-up post is to list down all the content that you’ve found useful within the week/month and adding your takeaways (lessons you’ve learned from each of the content). After publishing the post, you reach out to the content publishers and ask them if they can share your round-up post on their social profiles. This approach is good to increase your social followers when the person you pitched had shared your content. However, there is a less chance that this technique can help you build links. The reason is that webmasters are less likely to link to a curated content or list post because most of the time, this post doesn’t add much value to the community compared to a solid/comprehensive blog post. Adding a badge to your website gives people a reason to link to you (especially if you already established authority and influence in the industry). People want to have your badge embed on their site given that it adds credibility for their brand. Create a transcript of a chat event (local event or a small meetup) and make it as readable as possible. Reach out to the organizers and participants who attended the event and ask them if they can link to your content. Given that the insights found on that page are superb, people will more likely give you a link (since they can reference your page in their future blog posts). You can also look for relevant resource pages that have a few broken links. Ask the content publisher of the resource page if he can replace the defunct link with your “chat event” page. Create your own small business game that you can place on your site. Select brands that had proven to become successful in your industry and include them in your list. 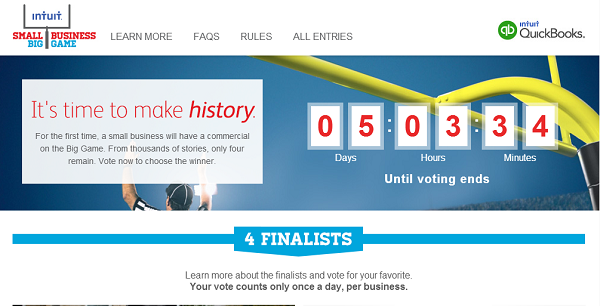 Add a voting system to your game and encourage your target audience (visitors) to vote for their best pick. This may not only help other brands to promote their products but also market your brand as well. The more your visitors entice others to visit your page, the higher is the chance that more people can see your page (and hopefully link to you from their websites). You can also add a badge in the game to get your voters link to you. As soon as they voted for their favorite brand, they can get your badge code and embed it on their page. The badge must add value to your target audience to encourage the webmaster to link to you. During a podcast, speakers may sometimes mention your brand or your product in their conversation. This is a good opportunity to ask for a link from the podcast page given that it’s easy to ask for a favor from that site owner who knows you already (the link can be placed below the podcast, as Products Mentioned in the Podcast). You can do a reverse version of this tactic by finding websites that are conducting podcasts in a regular basis. Check out what brands/products they usually mention in their audio content. If you find that the mentions are somehow related to your brand/product, you can craft an email template – asking for your product to be promoted and send it to the publisher of that podcast. To get a higher conversion rate, incentivize the person by becoming a sponsor for his website or giving him a free trial or discounted price of your product. 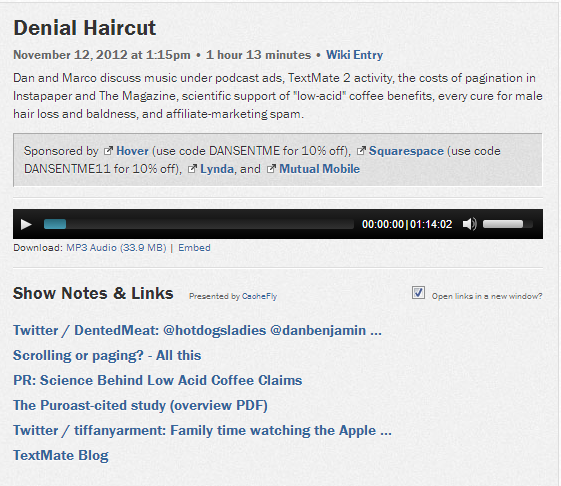 Again, ask him if he can give you a link in the section below the podcast (it may look something like this). If you’re working in an ecommerce website and you offer partnerships with retailers, this technique is a good link building opportunity for you. 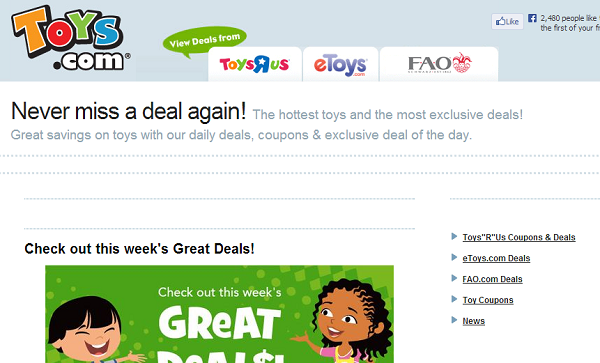 There are blogs that have retail deals section and allow product reviews to publish on their websites. Visitors of those blogs can read your review and visit your site to make a purchase (this is true especially if the blog has a large number of subscribers and visitors of that site usually convert to potential customers). Find blogs that have retail deals category/section by doing a Google search. 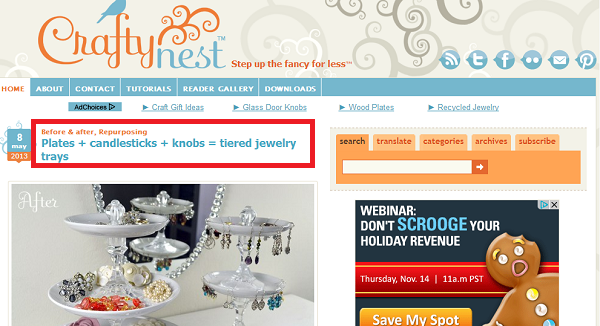 Use advanced search query, “inurl:/category + retail deals + “your niche” to find pages that publish retail deals posts. 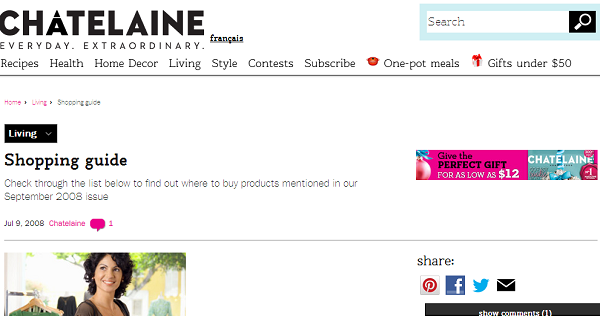 There is at least one website in your niche that curates products/giveaways as part of their content strategy. If you can find one that is somehow relevant to your industry, you can get quick links by reaching out to the webmaster and asking if he can add your product(s) in his curated content. The trick here is simple. 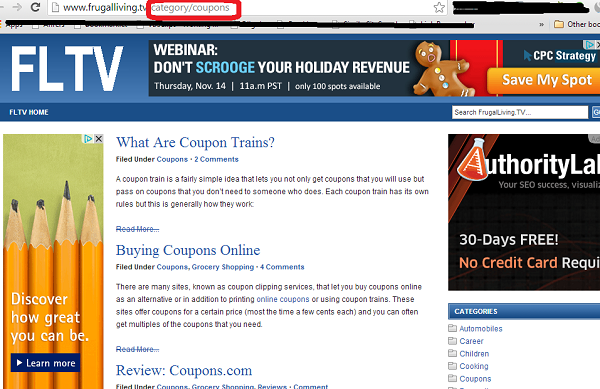 Ask the webmaster if he can accept a coupon deal post as a guest post. There’s always a high chance to get a link from this method since you only promote your product by writing a post and placing the URL of your product in the post. Use this advanced search query: inurl:/category/coupons + “your keyword” OR “your industry” and look for pages with high DA and add them in your list of link building prospects. 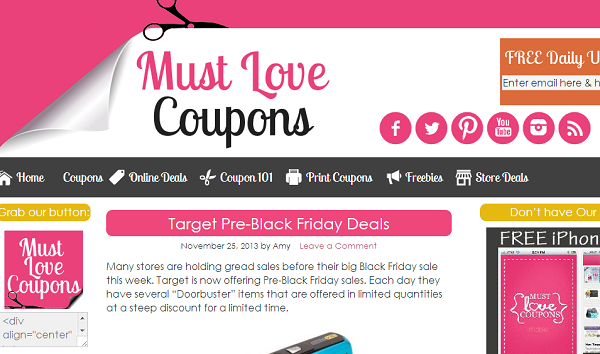 Type “coupon deals” + “your niche” OR “your industry” and sort the results by blogs section only. Add those pages in the spreadsheet. Create a video review of your product. Use it when you do your guest blogging campaign. Ask first your prospect if he allows product reviews to be published on his blog. 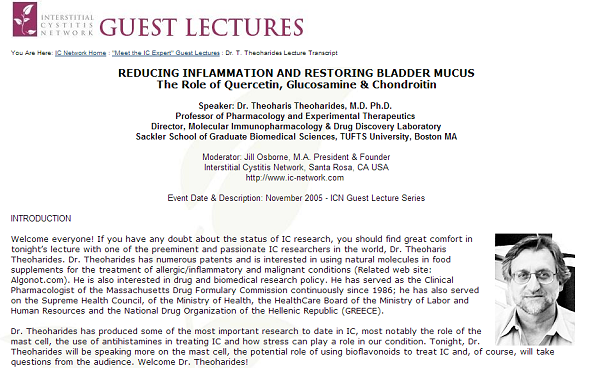 This is an alternative tactic to text-based guest post. Given that webmasters are always receiving guest post requests in their inbox, you can take another turn by writing a catchy subject line in your emails. New Video Content for Your Blog, [Name] or [Name], this is a video that you will regret if you don’t watch it..
Do not be too salesly in your video review. Instead, add value to it by emphasizing the benefits of using your product/service. As I mentioned earlier, testimonials provide great impact to the value of your website content. Given that testimonials attracts potential customers based on the product’s proposition and product comparison, these should not be miss out in your content distribution efforts. Learning how to build links using this strategy is a good way to get people know more about your brand and what you can offer to people. In the side note, you can write a testimonial of using other products and submitting it to sites that offer testimonial pages. Commonly, these pages are story-based content which means you need to experience using the product before writing a review about it. If you don’t have the product yet and need to buy it for the testimonial, you may want to pitch the brand owner and ask if he can give you the product for free in exchange for your testimonial. Another angle that you might want to consider is the exchange of products. You offer him the product and let him write a review about your product. You ask him to give you his product and let him write a review about it. This link building strategy is a win-win situation for both of you. Creating your own guest blogging campaign and implementing it to your team is quite tedious to do since you need to use all the possible means to find the right guest blogging prospects and pitch them if they can allow you to guest blog on their sites. I’m not saying that you stop doing it because I highly recommend high quality guest blogging for every type of website. But you can take another route by allowing other bloggers to pitch you for a guest post. 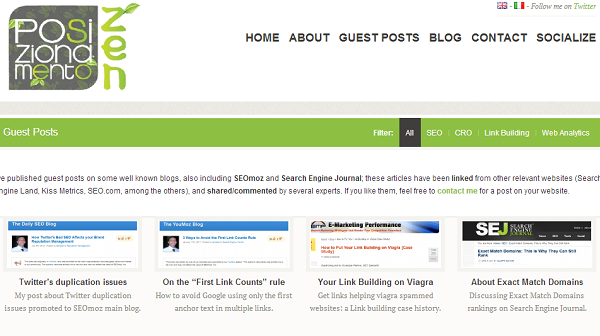 You can create a guest blogging page that lists down all the guest posts you wrote on other blogs. The more authoritative your guest posts are, the higher the chances of getting a reverse pitches from other bloggers. This will lessen your time in identifying more guest blogging prospects for your campaign and help you focus more on other link building initiatives. Create your own quiz (5-7 questions are enough). 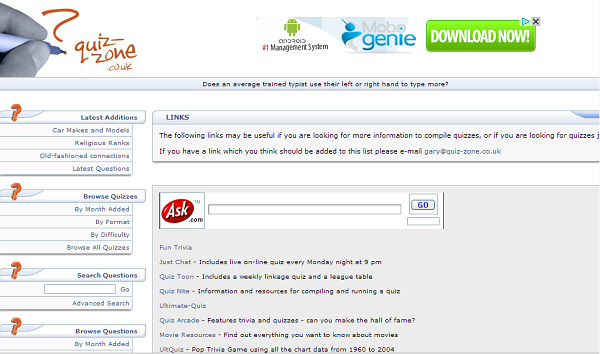 Look for websites that link out to quiz pages or quizzes themselves. 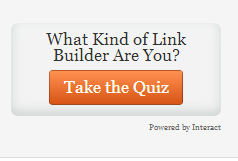 Ask the site owner via email if he can link to your quiz page. 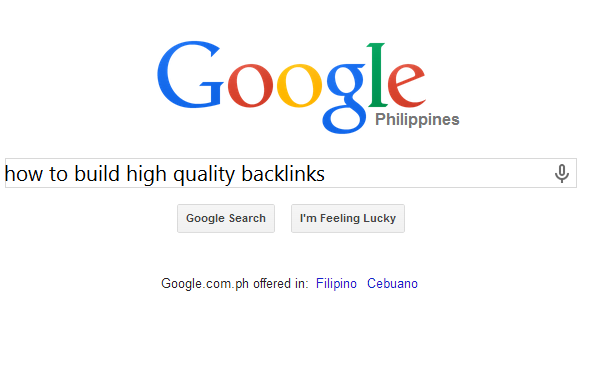 You can also use broken link building to receive a higher response rate for this outreach. 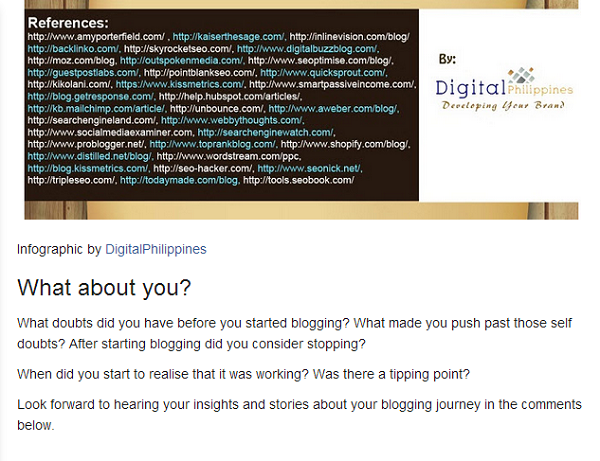 Personal blogs have their appreciation pages to give thanks to their avid readers and/or followers. It’s one way of giving appreciation (obvious!) to their audience (especially to those who take time to read/share/link to their content). 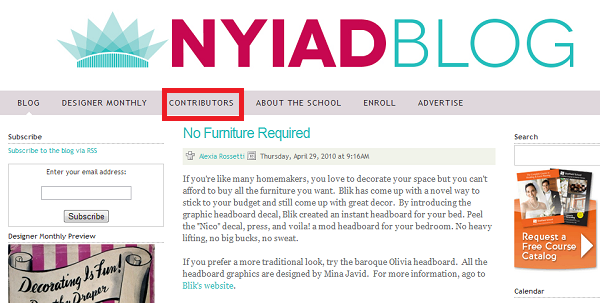 You can create your own appreciation page for your blog and list down all your avid readers/bloggers. Reach out to them and ask them for a link (the destination page should be the appreciation page). Since they are all your followers, asking them for a link would not be a difficult task. User-generated websites allow their visitors to participate in the community by creating their own content and/or profiles. You can search for several UGC sites that you can take advantage of by creating your own profile, create a content (image/video/text) and build links to your website. Search for more niche-specific UGC sites and identify their PA/DA numbers and filter out in your list those sites that have low-quality content. Non-profit organizations gain profit from local events, programs and sponsorships. If you can find a few localized non-profit organizations that have local sponsorships, you can get a quick links from them. Visit this directory of running clubs. Click your localized running club where you want to sponsor or donate a fund to. Use the advanced search query, “running club” + “local city” to find running clubs that are working within your area. Include your list of running clubs in your spreadsheet for paid link building strategy (e.g. sponsorship/donation pages). Reach out to every webmaster and offer a monetary value or a physical product from your brand. Creating your own link building strategy requires having a complete knowledge of your brand’s offerings, unique value proposition and its industry. Knowing how to build links with a marketing perspective could give your brand more than just a link (sales, leads), which should be the end results of your link building campaigns. If you liked this post, kindly share it to your circles/networks and follow me on twitter @venchito14. Reverse guest blogging campaign sounds a good idea for blogs. The other ways are more effective for Ecommerce websites. It’s easier for them to submit to coupons aggregators, product giveaways, store registries etc… Submitting to .Edu blogs can be helpful for blogs as well. You really made it simpler to scan, what’s for blogs and what’s not. I think .edu and .org back links is more important than other. Because it gives you more power push than other domain.